Staying motivated through the winter isn’t always that easy. There’s a reason so many gyms are in business. 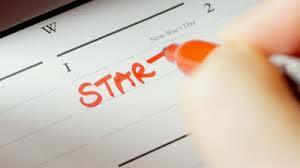 People sign up with their new year’s resolution, but then fade away after the first month or two. If they didn’t, every gym in America would be stuffed to capacity and beyond. But you don’t need to give up after a month or two, or a week or two. Using the key mindful tips below, you can ensure yourself of greater motivation and success, even through the harshest of winters and the darkest of days. Goals are a funny thing. Set too big of a goal, and you’ll likely fall short. Set too small of a goal, and it’s not really worth doing. What you need is the sweet-spot, or the middle-road. Feel things out, go quiet and meditate, and ask yourself what would be fun, really fun to accomplish this year, this spring, or even this month. Then write it down and preferably tell others about it. Why? Because this makes you more accountable and more likely to get it done. Don’t like the pressure? No problem. Write it big and bold with magic marker on an index card, and carry that card with you in your wallet, purse, pocket…or even tape it to your bathroom mirror or steering wheel, and make sure you look at it multiple times a day. Letting others know of a goal is one thing, but having someone that’ll go along on the journey with you, that’s a true blessing. Is there someone who would want to go to the gym with you, the pool with you, or would want to do that 5k or triathlon this spring? Better yet, is there a small group that would even CARPOOL with you to get you to the gym. Accountability makes this much easier, and having others with you greatly increases the fun quotient. In my 30’s I took a beginner’s ballet class to gain better balance to improve both my speed skating and running. It was a humbling experience. Ask yourself, what class would be most fun this winter. Is it martial arts, aerobics, Tai Chi, your masters swim team program, or even dance? Personally, I’ve taken ballet in the winter to help my balance and running form, and loved it! Find a class you’ll enjoy, even one you would have loved as a kid (for my next class, I want to take tap dance!) and the go for it! You’ll likely have fun, make new friends, and having that regular repeated event makes you more accountable and it easier to get done. This requires diving deep and asking yourself what you’d like to do. Perhaps you thought you NEED to lift weights, or you NEED to run on a treadmill, but what you’d REALLY like to do is play on the climbing wall and get better at your inner focus and connecting with the rocks. Then go for it! The best workout isn’t the one that makes you the best runner, or that loses the most weight, or gets you in the best shape…though these are all great bonuses. The best workout is the one that you’ll keep up with, day in and day out, no matter what. And it’s the one that gives you the most JOY. For joy equals decreased stress, and that’s invaluable, far more so than a treadmill run you find pure drudgery. On that note, don’t sign up for something you don’t want to do, just to make yourself do it. That produces cortisol, or stress hormones, which will be far more harmful than any gains you get by “guilting” yourself into going. Take time each day, preferably first thing in the morning, to meditate on your fitness goals or state of perfect health. This is like refilling the fuel tank. The more you breath into your goals and desires, with long, slow, diaphragmatic breathing, the more you imprint these ideas into your heart and into your psyche. In a sense, this mindful meditation is hard-wiring you for success. Do this daily, and your goals will literally be imprinted onto your soul. Then you’ll find a way to get them done, no matter what. And you won’t find it drudgery, but uplifting and satisfying to the soul. A gratitude meditation is a great way to say THANKS for all that you’ve done for yourself. This is NOT the time to kick yourself, but the time to reward yourself for what you’ve done right. Soon you’ll find yourself going to the gym, or getting that workout in, because of how great it feels at the end of the day. Sometimes getting started is half the battle. Build a new routine into your calendar. 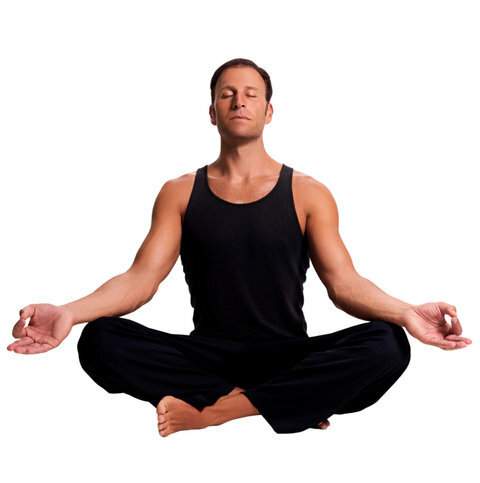 Meditate and ask yourself, when is the best time of the day for me to get my workout in? Often-times, it’s counter-intuitive, more specifically, it’s often in the morning. Depending on your family obligations, there may be no way to get yourself out of the house early, but if you can, and it feels right, go for it! I’m the first to tell you that I HATED getting up early and never wanted to work out first thing in the morning. But after reading enough self-help books about the power of rising early I reluctantly decided to give it a try. I committed to a month, and by the end of it felt WOW. I had more energy, rather than less through the day. I felt more relaxed at work, and because I had the time to move my body while quieting my mind (I turned my morning workout into a mindfulness meditation) I was calmer, more focused, and more creative throughout the entire day. Now I can say the reverse as well, if I don’t get that workout in, it’s harder for me to be at my best. So if I want to be sharp, and I want greater energy, vitality, and focus through the day, I get up early and get that workout in. Then I feel great! This one often does us in. Be mindful, and watch to see if you’re hypercritical about yourself getting your workouts in, or doing what you said you would do. These only harm, rather than help to serve your goals. Remember the index card I suggested you carry with you? Try flipping it over, and making a mark each time you berate yourself over your workouts, the lack of getting them in, or complaining about having to go to the gym. Soon you’ll catch yourself mid-thought, and get to work on the next piece. Work to replace any negative thoughts you have with positive ones. Dreading the gym tonight, but looking forward to how you’ll feel in a month. Don’t say “I wish I didn’t’ have to go tonight” but instead try “I’m so glad I’m going to the gym, because I can see how great I’ll feel in a month!” Or “I can’t wait to get the workout in, because I’m going to fly in that 10K in march!” Rephrase and retrain the mind, then work to catch those thoughts! Remember that allowance you got as a kid for doing good? Or the stars you got from a teacher for turning in your best work? Those little carrots often meant a lot. If it worked then, it’ll work now. So give yourself a carrot. Maybe it’s treating yourself to dinner, a weekend getaway, shopping at your favorite store, or even traveling cross-country or out of the country to the big race. Make it a goal you can achieve, then reward yourself for it! And do this frequently, it doesn’t need to be big goals and a giant prize…more frequent, smaller prizes are often the best way to go, because they help keep us on track. The secret to staying motivated this winter is to listen and learn about your needs, and then set yourself up for success. Do the things that are fun, make your workouts play, involve your friends if you can, and make them a part of your routine. Then above all else, visualize, meditate, see yourself succeed, and give thanks, each morning and each night, for all the great work you’re doing for yourself. You can do this, I know you can, and I know you’ll feel great for doing so! So start right now. Ask yourself, what would I most like to do to get in shape this winter. Then go for it!